Think tanks, politicos and pundits regularly weigh in with how to improve Canadian healthcare. Such media coverage is often weighted. And journalists covering the issue often struggle on short timelines to gain enough knowledge to ask the critical questions. But that's about to change. Comparing the performance of health systems around the world just got a little easier. One morning, the media headlines pronounce that Canada's health system should model that found in the Netherlands; the next week, we should follow Germany's example, and yet another says Australia is leading the pack. Then there are the inevitable comparisons to the U.S. health system. Think tanks, politicos and pundits regularly weigh in with perennial favourites for how to improve Canadian healthcare. Such media coverage is often weighted with viewpoints steeped in ideological or economic vested interests. So, who can we believe? Health systems are complicated. And journalists covering the issue often struggle on short timelines to gain enough knowledge of complex international health systems to ask the critical questions. But that's about to change. Now, health journalists from several countries are teaming together to create a free resource for journalists covering health systems and health policy issues around the world. In other words, it's journalists helping journalists. The Panel of International Health Journalists was the brain child of U.S. health journalist Trudy Lieberman working with Dr. Noralou Roos, Professor of Health Policy at the University of Manitoba and founder of EvidenceNetwork.ca, a non-partisan resource that creates original content for the mainstream media on health policy issues by bringing together health policy academics and journalists in partnership. "Health reform is always a hot topic in Canada," says Roos. "And often journalists are required to assess the quality of a source or a resource that compares our health system to those in other countries. It's not an easy task, and certainly not on a deadline." Lieberman, who took part in a cross-Canada speaking tour at the invitation of EvidenceNetwork as part of her Fulbright Fellowship in 2013, had a solution. 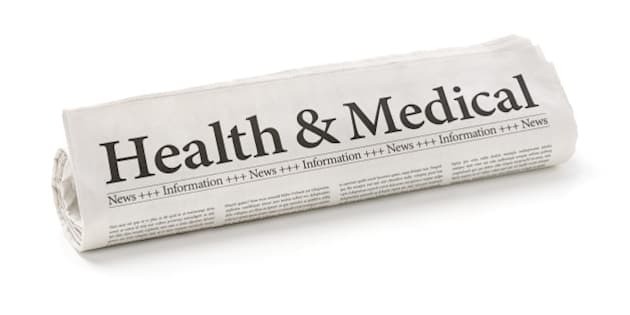 Instead of just using the expertise of health policy experts who aren't always media savvy or available on media timelines, why not create a learning opportunity with seasoned health journalists working in the field around the world? "The idea is for journalists covering health care to begin a dialogue with colleagues in other nations and learn from each other," says Lieberman. "We also hope that this international exchange will foster the development of deeper and more informed health news stories." The Panel of International Journalists, with representation from Portugal, Italy, the United States, the United Kingdom, Australia, the Netherlands and Canada, have volunteered with EvidenceNetwork.ca to serve as resources for other journalists covering health systems they may not be familiar with. The individuals on the panel are able to provide support and information on topics about patient safety; the rising cost of medical care; the marketing, pricing and regulation of drugs and medical devices; and the workings of health insurance arrangements in their home countries. The panel is also available to health experts who are non-journalists who are searching for information about healthcare in other countries. "It's part of our ongoing effort to raise the quality of health policy journalism," says Roos. "By bringing academics and journalists together so they are on the same page, understand each other's needs and can inform each other's work." Evidence Network has previously brought health policy experts and journalists together by creating original content for the mainstream media, including publishing hundreds of op-eds every year since their inception in 2011, in the largest media outlets in the country and internationally. They also have a regular podcast series on health policy issues and create media backgrounders on controversial health policy topics "so that journalists can quickly find the facts without the spin," says Roos. As with other EvidenceNetwork.ca projects, any material created from the International Panel is posted to their website with a Creative Commons license so that anyone can reprint the material with proper attribution. "There is so much misconception about other nations' health systems," says Lieberman, "this panel of international journalists can be a resource for helping to set the record straight."